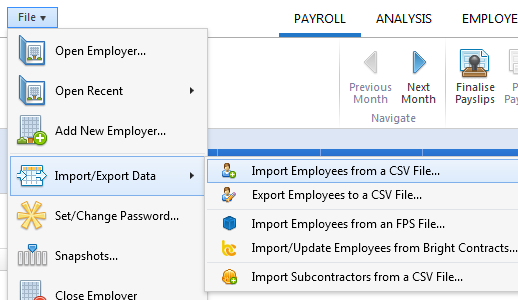 BrightPay facilitates the importing of employee information in CSV format from SAGE 50 Payroll. 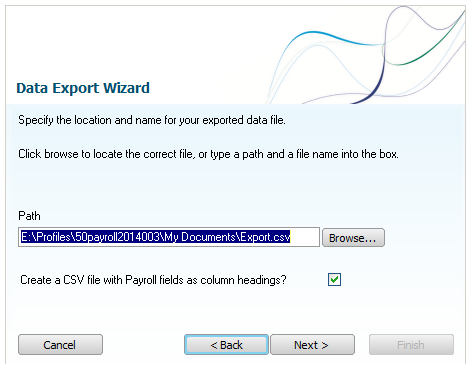 1a) First export your CSV file containing your employee information from within your SAGE 50 Payroll software. 1c) Select the location where you would like to save your file to using the 'Browse' button - click 'Next' when ready. 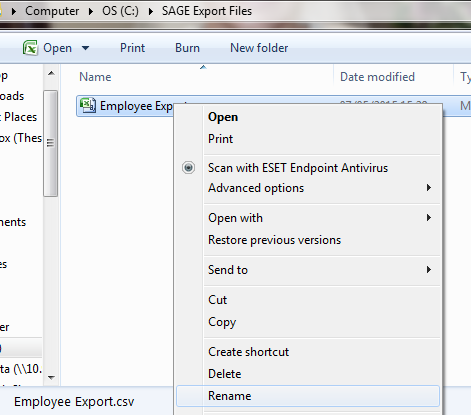 1e) Now go to the location where you have saved your CSV file to and change the name of the file to 'sage.csv'. This can be done by right-clicking on the file name and selecting 'Rename'. 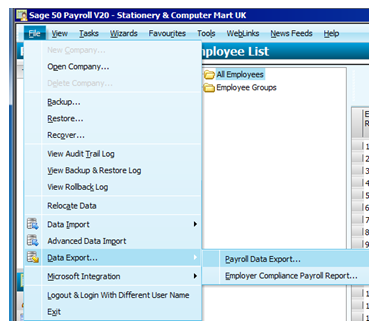 By doing this, BrightPay will be able to recognise that you are importing from SAGE 50 Payroll. 4. Complete each screen accordingly with your relevant employer information. 7. 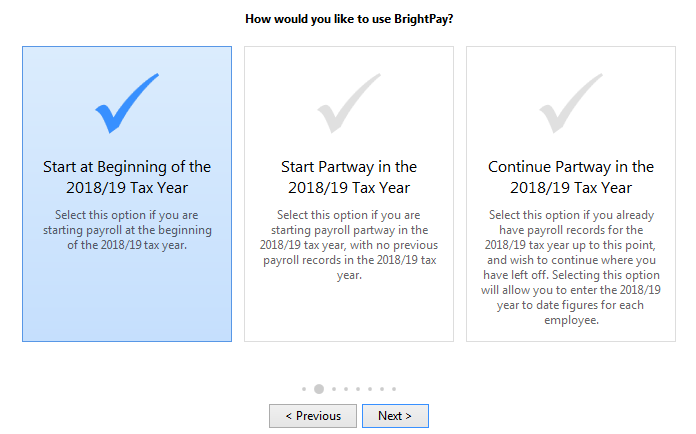 BrightPay will ask you to confirm that this is a SAGE file - click Yes to confirm this. 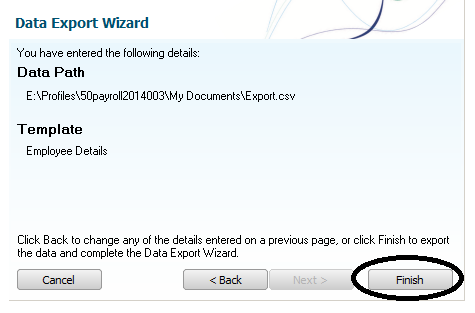 8) Untick the header row as well as any rows you do not wish to be imported. 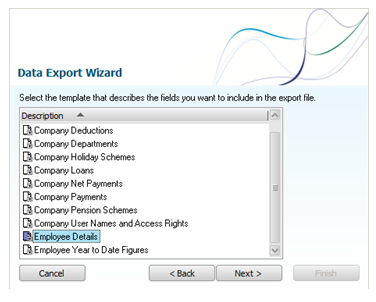 9) Click Import to complete the import of your employee information.